Tales from a tribble: Bravo, Hans Graf! 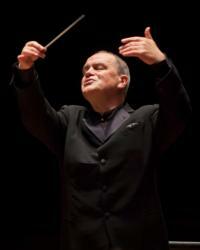 A couple of weeks ago, the Houston Symphony Orchestra and former HSO director Hans Graf won their first Grammy award. Bravo to Hans Graf and the Houston Symphony Orchestra! This from the ABC Eyewitness News website on January 29: "A big congratulations for the Houston Symphony!They won their first Grammy Award for Best Opera Recording Sunday night. The Houston Symphony tweeted: "Congratulations to former Music Director Hans Graf (conductor/producer), Brad Sayles (producer), and Anne Schwanewilms & Roman Trekel (principal soloists)!" Because of that I'd like to do this repeat post honoring Maestro Hans Graf from 2013. As the Houston Symphony Orchestra winds down the 2012-2013 classical music season with its last 3 programs of the season, beginning this weekend, we are also winding down on the great tenure of the maestro Hans Graf as conductor and music director of the Houston Symphony Orchestra. This from the Houston Symphony Orchestra's web site: "Born in 1949 near Linz, Austria Hans Graf studied violin and piano as a child." Immediately prior to his appointment in Houston, he was the music director of the Calgary Philharmonic for eight seasons. "Graf was chosen to be the Music Director of the Houston Symphony in 2000 and began his tenure with the orchestra in September 2001." His tenure with Houston has continued until this 2012-2013 season. 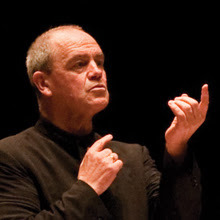 "Internationally, Hans Graf has conducted in the foremost concert halls of Europe, Japan and Australia and has appeared with the Vienna Philharmonic, Vienna Symphony, Royal Concertgebouw Orchestra and Leipzig Gewandhaus Orchestra as well as with the St. Petersburg Philharmonic, Deutsches Symphony Orchestra, Bavarian Radio Orchestra and the Rotterdam Philharmonic." Maestro Graf has homes in Austria and Houston, Texas. Sheralyn and I have enjoyed being patrons of the Houston Symphony Orchestra these last 11+ years with Maestro Graf leading our great symphony orchestra. Although I am not a professional, I think I am right when I say Hans Graf has been one of the great music directors of the Houston Symphony Orchestra our city has been lucky to have had. Sheralyn and I want to thank Maestro Graf for all the pleasure he has given us with some beautiful music. He is a great conductor and a professional in every respect. Sheralyn and I like to go to the enjoyable pre-concert lectures at Jones Hall called "prelude". Many times at these preludes, the maestro Hans Graf himself came to talk about the concert that night and answer any questions the audience had. We have found him to be an informative and very friendly gentleman during those lectures. You can really feel his love of the music ooze out when talking about the composers and pieces we were about to hear. Not only were those lectures very enjoyable, we learned so much about classical music from Maestro Graf. And what an honor when we would see the maestro himself walk in front of us to the podium. Tales would like to thank and honor the great maestro by saying-Bravo, Hans Graf! The city of Houston wishes you blessings and all of the best in the future, Maestro Hans Graf!